Our official campsite is run by Meadows Camping, a picturesque, local, secure, well managed temporary campsite for the folk festival weekend. The site is just a 10 minute walk from the town centre over Julian's bridge. 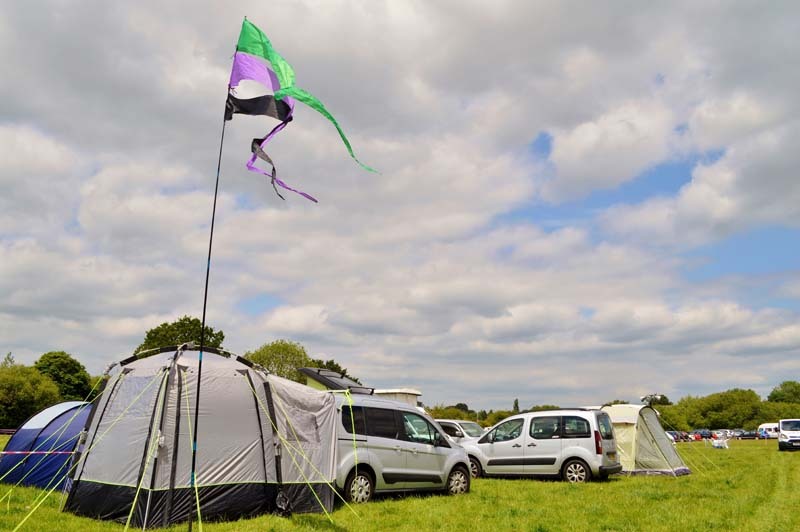 Camping at Meadows Campsite this year is £10 for the first night and £8 for each additional night. Under 8's are free. The site has toilets, showers, food and good 24 hour security. Entry to the campsite is by camping wristband only. Please be aware that access to/from the town on foot is over Julian's bridge, which has no footpath, so please take care when crossing at all times. This year the campsite will be available from Thursday (5pm onwards). For more information about the campsite, visit MerleyHallFarm.co.uk, but please book through these links above.